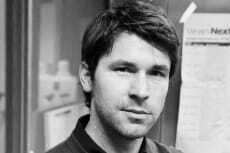 NYSCF – Robertson Stem Cell Investigator Dr. Alex Meissner, Harvard University, published his latest work studying the development and interaction of binding factors in mouse stem cells. This research, published in Cell Stem Cell, studies how ‘ground state’ conditions affect pluripotency factor binding using two pathway inhibitors. Understanding the specific steps and factors contributing to cell pluripotency is a necessary step in order to eventually develop successful future cell replacement treatments and therapies.